The AIFF revealed their executive committee for 2016-2020, without a representative from Goa for the first time since 1984. Shrinivas Dempo, Goa’s man at the national federation for the past four years, has been left out, an indication that the relationship between the AIFF and Goa has taken a turn for the worse. Elvis Gomes, the Goa Football Association (GFA) president, has also not been invited to join the top table of Indian football. The AIFF instead chose to transfer the coveted spot to Rajasthan FA president Manvendra Singh. “The AIFF administrative structure has lost its democratic touch and its all insider trading (now). They want yes men (in the AIFF) and since we do not fit into that category, they have ensured we are left out,” said GFA president Gomes. 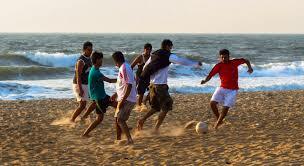 Goa is the only state to have accorded football a state sport status. The GFA has 6,000 registered players and organizes a four-tier senior league along with age group competitions from under-14 to under-20. Goa’s top clubs Salgaocar FC, Dempo Sports Club and Sporting Clube de Goa had already pulled out of the I-League in protest against the AIFF’s proposed restructuring of Indian football. Their decision has left the I-league emaciated and further in the shadow of the more glitzy Indian Super League. Praful Patel will continue as AIFF president for a third term.